Make-up brushes – what are they all for? Can’t I just use my fingers? OK. So I feel like a bit of a fraud. All this time I’ve been blogging and telling you what I think about about make-up and skin care products. I’ve only been using one brush for my make-up. It’s a foundation brush and I use it to swipe on some product and then I smooth it out with my fingers. The thing is, I have no clue how to use brushes, I don’t know what they’re for or what they’re called. There I’ve said it. To be fair on the whole foundation thing the Space NK assistant told me that NARS sheer glow is designed to be applied with your fingers as the warmth of your fingers gets the product to the right temperature for application. A week or two ago, I did buy another brush, just a cheapie from Wilko’s to apply highlighter with. It seemed to work quite well and I started to be persuaded that maybe having more brishes would be a good idea but I still didn’t know where to start. Fast forward to this Sunday when I went to the Olympia Beauty show and I was gifted a whole set of Final Checks brushes from Danielle Everitt. Now I’ve never understood why other bloggers say things like “eek” or “squee” when they are excited but believe me I definitely wanted to shriek both when I opened my lovely gift. 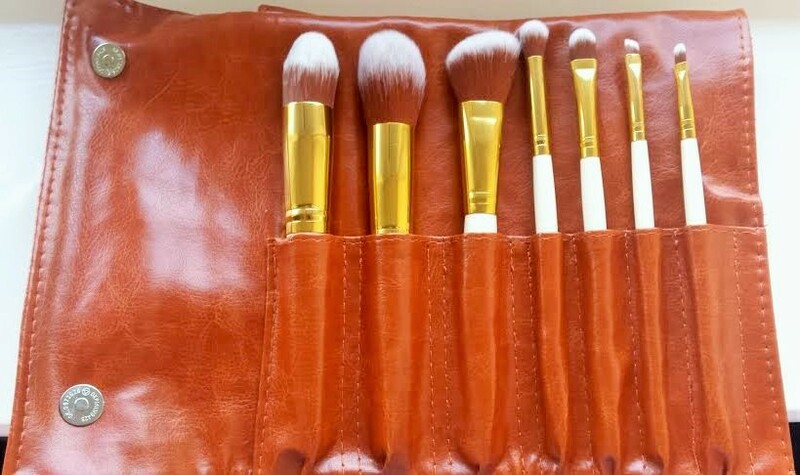 This 7 piece brush set is made from HD synthetic hair and you can buy it here for £46.99. Now they look and feel great to me but I’ve already confessed that I have no idea about make up brushes. What I do know is that Danielle has been a celebrity make up artist for more than 7 years using her brushes on many artists in the editorial and TV industry. Numerous celebrities have purchased the set, complimenting on the softness, style and quality. So what do you think? 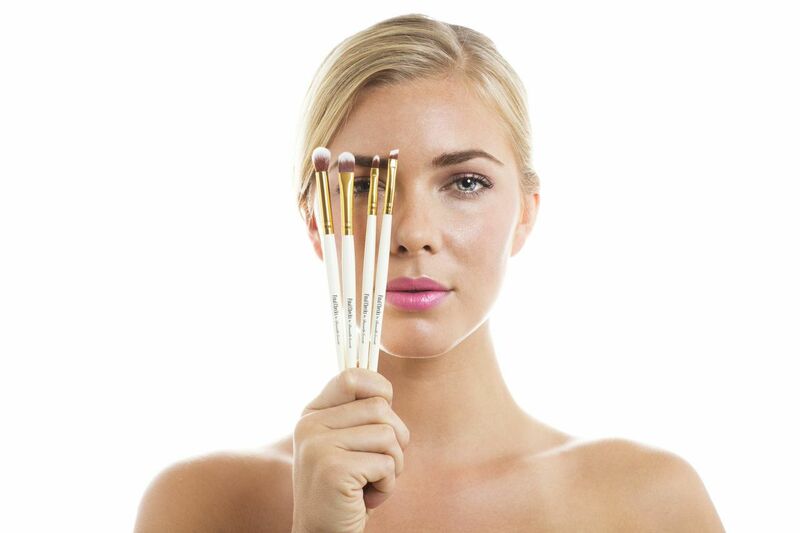 Are brushes a must? Does it matter if you just use your fingers? I’d love to hear what you think and do tell me if you like Final Checks brushes. I really like using brushes, they are a necessity in my opinion. But I do like to apply my concealer with my fingers! I’m just starting to experiment with my brushes and loving them so far. 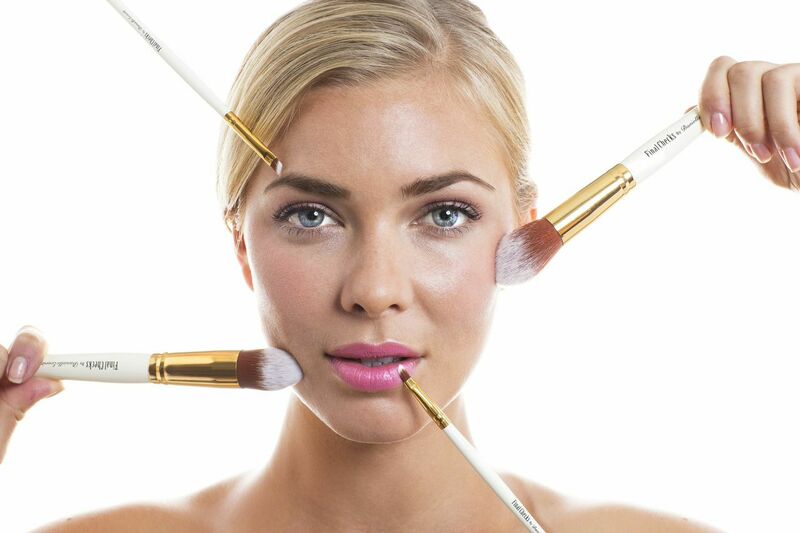 Interesting about concealer I would have thought a brush would be best – told you it’s confusing! Haha!